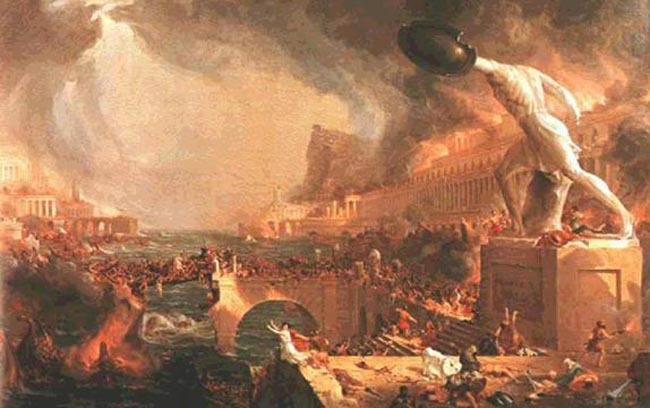 The Great Fire of Rome, which burned for 6 days, broke out in the merchant district and caused widespread devastation. It was an early example of how a natural disaster could bring a supply chain to its knees (as it wiped up most of the goods in Rome, which were then stored in shops). The moral of the story is clear — Natural and Man-Made Disasters have always been with us and always will. This entry was posted in Marketplaces, Miscellaneous, Risk Management on July 19, 2014 by thedoctor.